For a second installment of the BAIT x OT x Bruce Lee 75th Anniversary, Bait has chosen a modern take on the iconic yellow and black design, inspired from Bruce Lee’s final film. The Colorado 85 “Legend” celebrates the success of Bruce Lee as one of the greatest martial artists of all time. 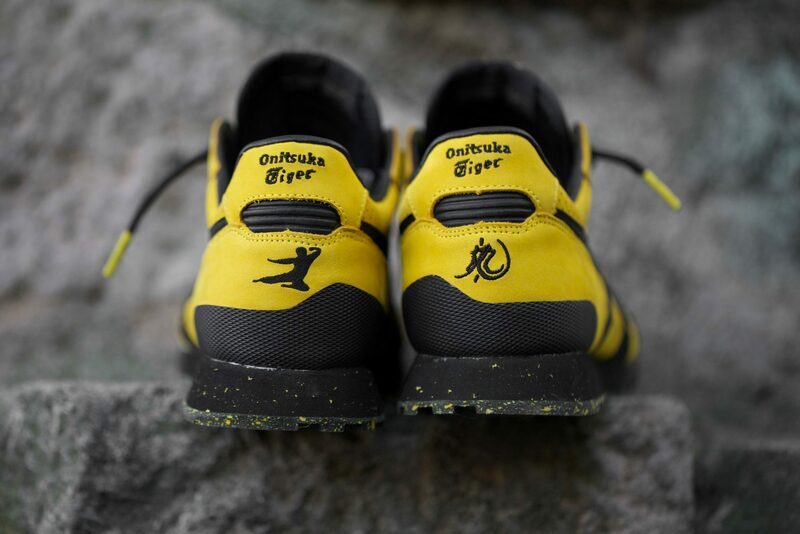 The Yellow premium nubuck upper with Black boxed leather tiger stripes pays tribute to Bruce Lee’s iconic track suit uniform that he wore at the pinnacle of his career, leaving a true legacy. 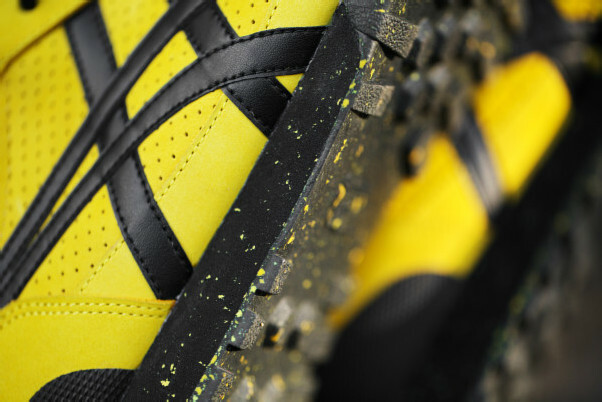 A black midsole with yellow EVA speckles run along the bottom of the shoes with a black and yellow speckled outsole. 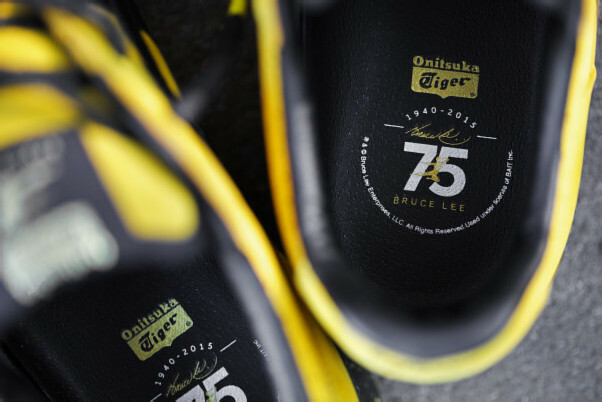 The specialized Bruce Lee 75th Anniversary logo is featured on the insoles, while the iconic Bruce Lee kickman and character is embroidered on the heel. 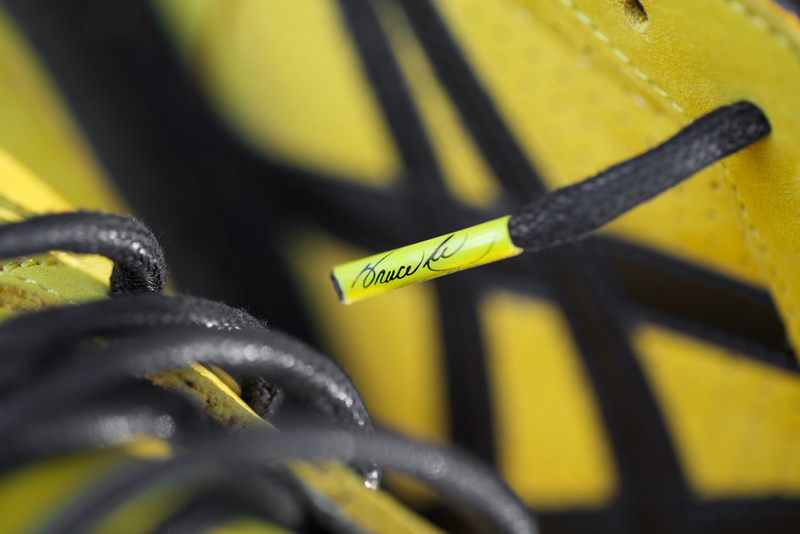 Black and yellow waxed rope laces come with his signature on the tips. 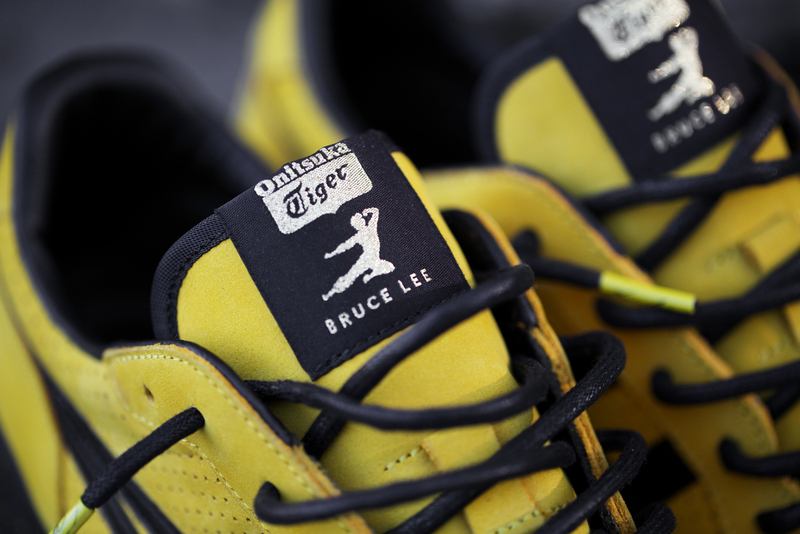 Join Bait Melrose, Seattle, San Francisco, and Pop-up Hong Kong for a special Bruce Lee birthday celebration party. 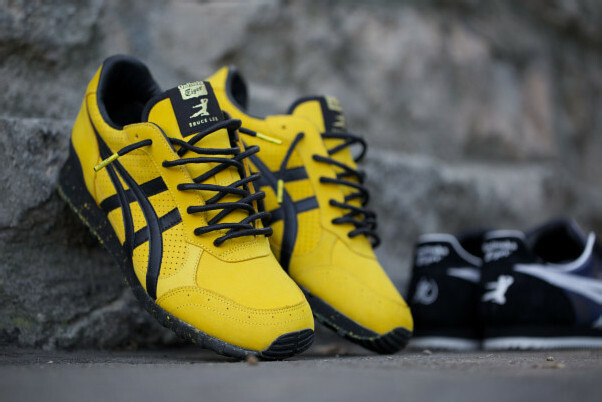 The BAIT x OT x Bruce Lee 75th Anniversary collaboration will be available at 6PM, when the party starts. BAIT will also be hosting a special exhibit in tribute to Bruce Lee’s life and accomplishments. 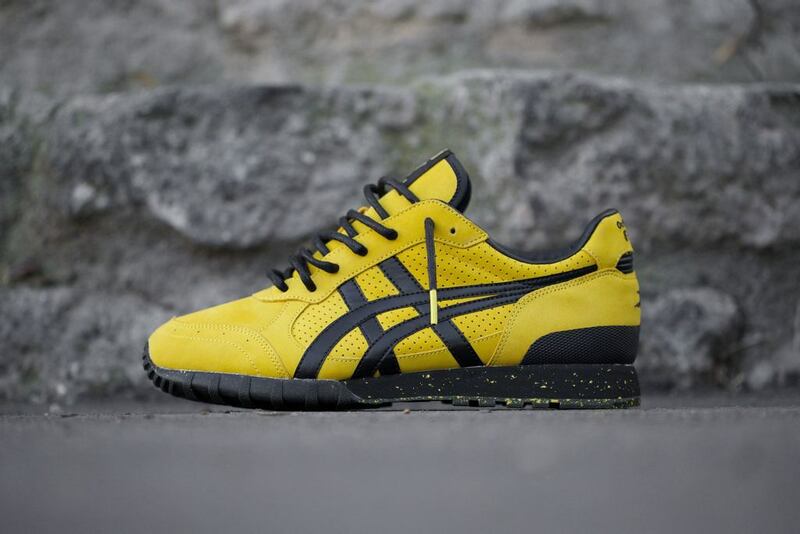 The BAIT x OT x Bruce Lee 75th Anniversary Colorado 85 “Legend” retails for $160. Bait will also be releasing two exclusive Bruce Lee Funko Pop figure and apparel capsule, alongside the release. The Bruce Lee 75th anniversary collaboration and capsule will release on Bruce Lee’s birthday, November 27th, 2015 at all 7 Bait Chapter stores.